Video game development is a fast-paced and competitive industry. Having real-time access to the right data lets you turn on a dime and capture market trends you might otherwise miss. 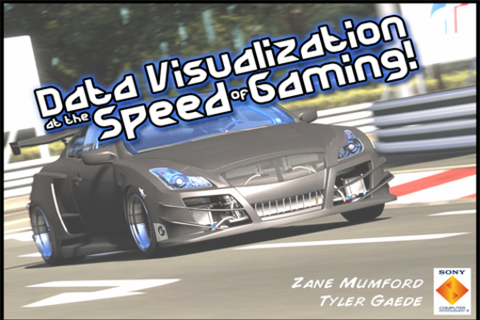 This session discusses how PlayStation uses data visualization tools to analyze gameplay metrics, reduce development costs, and increase the speed of decision-making, allowing the team to rapidly answer questions they could never even ask before. You’ll see some of PlayStation’s data visualizations and learn best practices for using data visualization to have a tremendous impact on an organization of any size and from any industry. I’ve been in the software business for over 11 years now with the majority of that time being in the video games industry. I started out as a software developer and have migrated towards management. I was introduced to data analytics as a tool to help us in making strategic decisions and I’ve been creating data visualizations since. Zane Mumford is the Sr. Manager of the Hosting Management Services group within Sony Computer Entertainment America, or Playstation. Hosting Management Services is the liaison between Sony's various game studios and its support organizations including IT and BI. They ensure service solutions remain aligned with the business, driving decisions and efficiencies that improve quality and reduce costs and time to market. Zane is a 20-year industry veteran who began the integration of Tableau 3 years ago and has continued to champion its growing adoption throughout the organization.